All SOPs which need to be trained will be managed by PharmSchul. Each SOP will be assigned to various training groups/profiles and/or departments. Furthermore it is possible to assign several documents/records to each SOP. Of course the use of a daily import of SOP data from another existing electronical system by using a PharmSchul interface is possible. 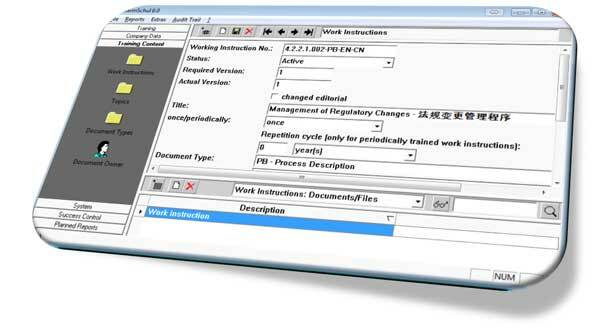 Your SOP workflow, which is already established can also be implemented in the PharmSchul system.